I built these wood baskets to store my magazines. However, the storage bins are ideal also for fruits or root vegetables. I used oak door skirting for the wooden strips and pine for the end pieces. The handle is made out of a 1/2″ dowel piece. I used glue and brad nails to lock all the components together tightly. 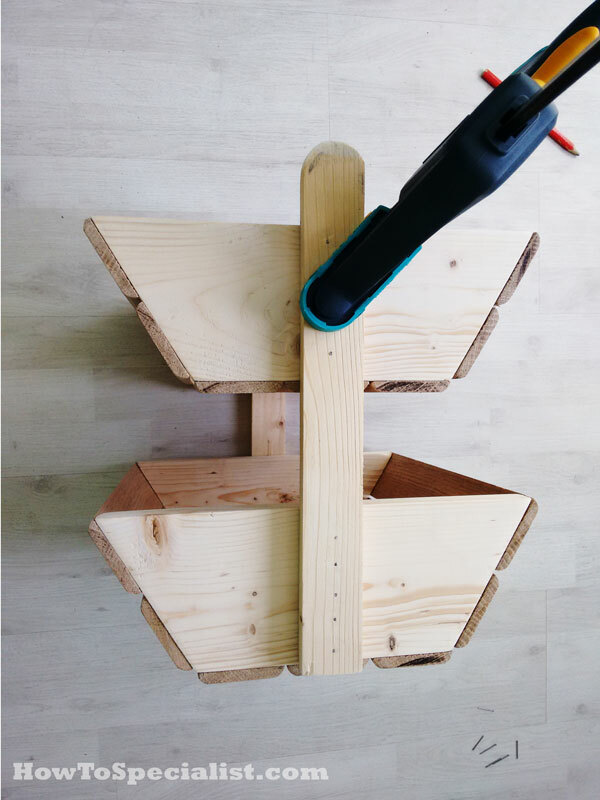 It is a beginner-friendly project that only takes a few hours to make. 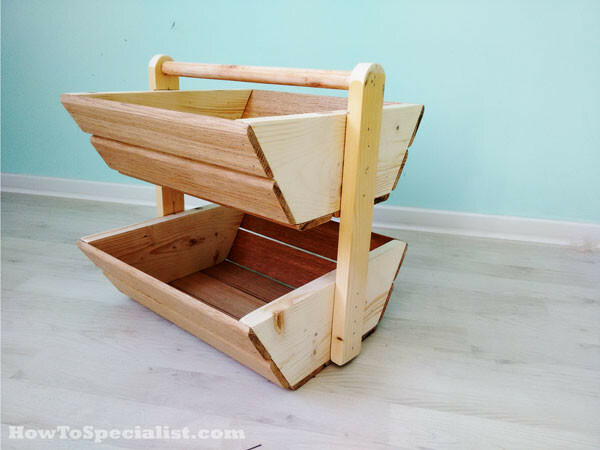 In addition, you can assemble several bins to create a rack. Also received a lot of compliments from my friends. See my step by step project here.